Parents, you are welcome to attend Academy Days and will be able to participate in several activities geared specifically for you. However, lodging for parents is not available on campus. There are several hotel options in Calhoun that are in close proximity to the school. 8th graders who would like to audition for band scholarships may contact Mark Torsney at mtorsney@gcasda.org to schedule an appointment between 10:00 a.m. and 12:00 p.m. on Friday, March 22, 2019. 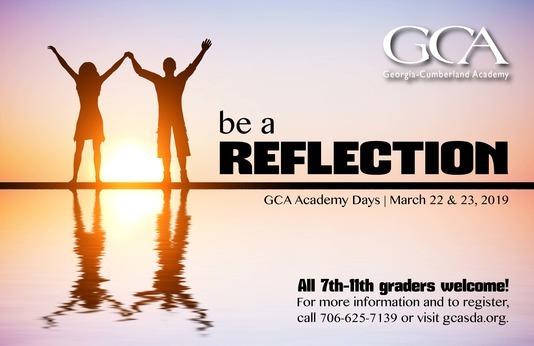 If you have additional questions about Academy Days, or are unable to attend and would like to schedule a private tour, please contact Enrollment Services at (706) 625-7139 or e-mail jfreeman@gcasda.org.